THE TRUE FACE OF THE BEAR ( Björnens rätta ansikte) is the only film on the market that discusses whether brownbears are dangerous or not. 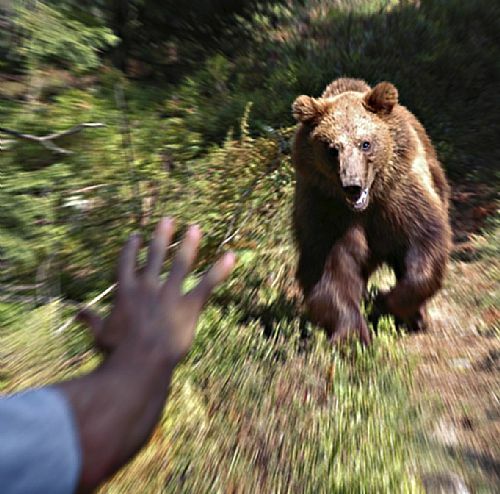 In cooperation with scientists the filmmaker takes us through an astonishing variety of situations where man meets bear. Though , one has to remember that bears are individuals , just like man. The film is packed with thrilling situations between hunters (as well as others) and bears. The film was considered the second best Nordic film at the International Wildlifefilm festival in Vaasa some years ago. The film has attracted a great interest from broadcasters around Europe. View the film at top of page. Contact Erik Fernström for more information about broadcasting rights.